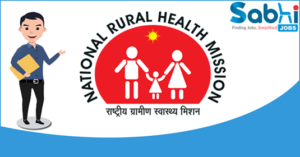 NHM Maharashtra recruitment 2018 notification has been released on official website www.nrhm.maharashtra.gov.in for the recruitment of 06 (six) Health Assistant, Staff Nurse Vacancies. Job seekers should apply on or before 16th March 2018. Here on this page you will get the details like the Name of vacancies released by NHM Maharashtra with exact number of posts. Some other criteria like Education details, application fee and way to apply application for NHM Maharashtra recruitment 2018. Educational Qualification: Candidates must be passed RANM Course & Registered with Maharashtra Nursing Council for S.no-1. GNM/ B.Sc (Nursing) for S.no – 2. Interested and eligible aspirants may apply in prescribed application form along with self-attested copies of all necessary documents send by post/hand to the office of Principal, Public Health Institution, Mata Kacheri, Shradhanand Peth, Near Diksha Bhumi, Nagpur- 440022.